Should I follow my passion? How to find my passion? 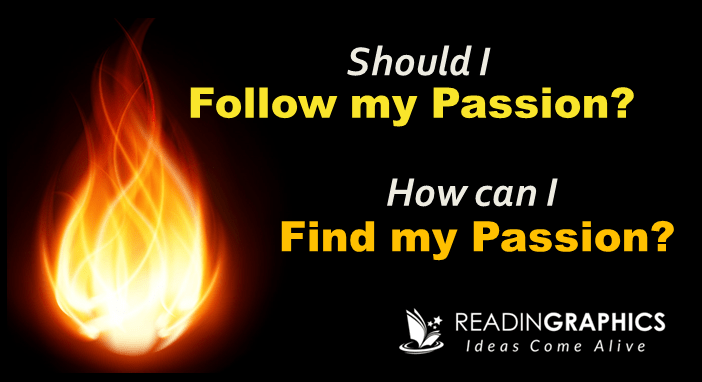 Home > Should I follow my passion? How to find my passion? “Follow your passion”. We hear that a lot in business or career advice. This was also Steve Jobs’ key message in his famous Stanford Commencement Speech. But, is it really wise to follow your passion? And if so, how do you actually find your passion? (2) Know how you can find your passion, calling and ideal career/business. • Passion should not be confused with a hobby or interest–it’s something that truly fires you up, and can be a cause, a vision, or an innate part of who you are/what you believe in. Later, we’ll explain how to define/find your passion. • Passion can be powerful ingredient for success, much like the spices that set off an amazing dish. If you’re an entrepreneur, passion can keep you going when the going gets tough and you’re struggling to simply stay afloat. If you’re an employee, passion can help you to tolerate the less enjoyable aspects of your work, or inspire you to push your own limits and achieve ever-higher standards. 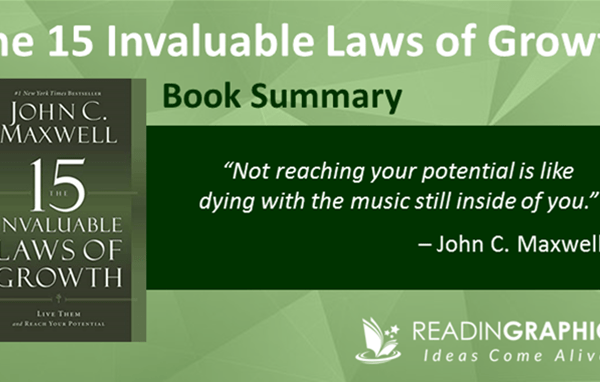 • But, passion alone is not enough; there are other critical ingredients for career/business success. Without passion, you can find other motivators to keep you going. But without the other critical ingredients for success (e.g. mastery of valuable skills), you cannot succeed your job/business. Now, let’s dive deeper into the role of passion vs other success ingredients. Jim Collins researched 1,435 good (public-listed) companies, examined their performance over 40 years, and identified 11 companies that became great. In “Good to Great“, he shared 6 critical principles behind their success, one of which was the “Hedgehog Concept”. 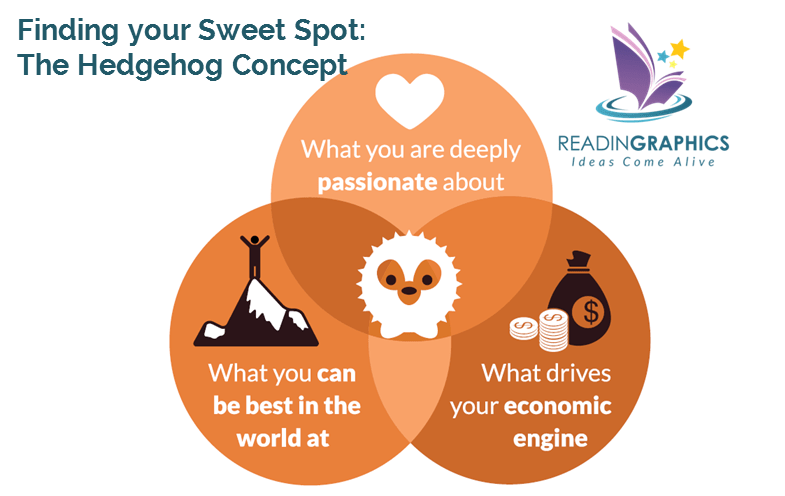 Basically, the Hedgehog Concept sits in the intersection of 3 circles: What you can be best in the world at, what drives your economic engine, and what you’re deeply passionate about. Good-to-great companies understood each of the 3 circles, and they focused on their sweet spot right in the middle. Focusing on what you’re passionate about isn’t about stimulating passion, but discovering what makes you passionate, be it for the product, industry, or what the company stands for (we’ll cover more on this later). 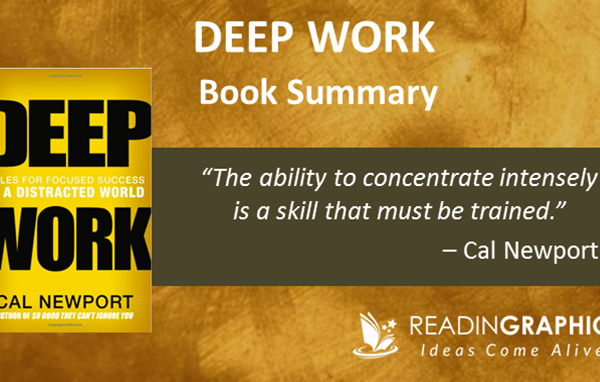 It provides the “heart” factor to become the best in your field and keep improving your economic engine. You can read more on how to apply the Hedgehog Concept to life and business here. In The $100 Startup, Chris Guillebeau found similar ingredients when he studied small business startups. He identified 1,500 individuals who’d successfully built businesses with $50,000 annual net income, using start-up capital of no more than $1,000. From there, he focused on the 50 most interesting case studies, and found 3 key foundations behind the success stories: passion, usefulness and skills transformation. For most of the successful case studies, people started doing something out of interest or passion (e.g. arranging free travel using air miles or making wedding dresses). Then, as more people request for their services, they started charging a fee. Guillebeau found that passion helps to keep you going in face of failures, but it’s not enough. Your passion must be directed toward something useful, i.e. it must help people and they must be willing to pay for it. In addition, all of us are good at multiple things, and we’ll need skills transformation to either (a) apply existing (relevant) skills/knowledge and/or (b) combine the skills in a way that creates real value. Both frameworks above show why passion matters in business/organizations, but they also make it clear that passion needs to be applied to something that’s economically viable and what you’re good at (or can be good at). 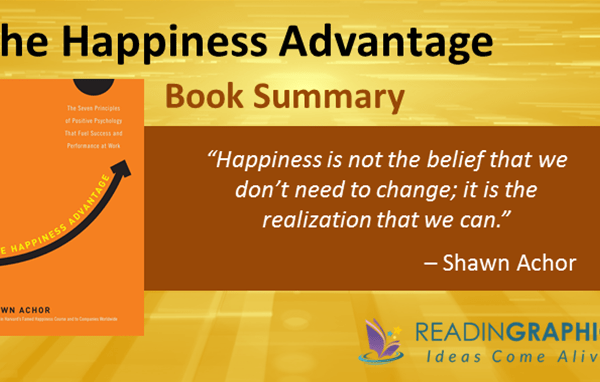 • Most people don’t have relevant passions. In a study, less than 4% of passions were found to be relevant for careers; 96% of respondents actually described hobbies (e.g. swimming, hockey, dance) that weren’t helpful for choosing jobs. [Our take: people tend to confuse passion with interests. Real passion comes from clarity on who you are and what you truly care about. Such clarity takes time (and probably many years of working) to develop]. • Passion can be nurtured over with time. Research found that the more experience someone has, the more likely he/she would love the work. 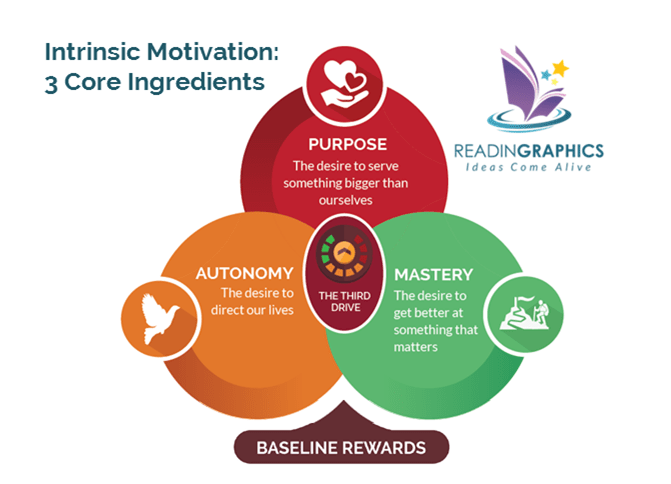 This makes sense since there are 3 factors behind intrinsic motivation (see more details in “Drive“), and mastery is one of them: the longer you do something and become better at it, the more likely you’ll be motivated by it. [Our take: As mentioned, passion should be defined as what fires you up. You could be passionate about your cause/purpose, being a master of your craft, and/or finding new/creative ways to do your work. Seen in that light, passion is actually linked to the 3 factors below…it’s really a matter of definition!]. So, how can you go about finding and applying your passion, in a way that makes financial and practical sense? That’s exactly what we’ll be addressing in the next section. • Loving what you do. Hardy points out an important fact: Only 5% of our work is likely to be what we’re passionate about; the majority (95%) is work that we don’t love. When we think of a stand-up comedian, we only think of his performance on stage, and not the bulk of the hard work behind the scenes (research, collating material, testing, rehearsing, negotiating with events/venue partners etc.) So, focus on that 5% of what you do that you love (vs dwelling on the 95% that’s less exciting). • Loving why you do it. If there’s a powerful reason or “why” behind what you do, it’s much easier to bear with the 95% of unpleasant work, and to stick it up during trying times. • Loving how you do it. There’s room for excellence and innovation in any role, no matter how mundane. If you’re in the game of besting yourself, work can get very enjoyable indeed! • Loving who you do it for. Who are the people who’ll benefit from your work? Is it your customers, your community or your loved one? They could be the reason why you love your job/business. 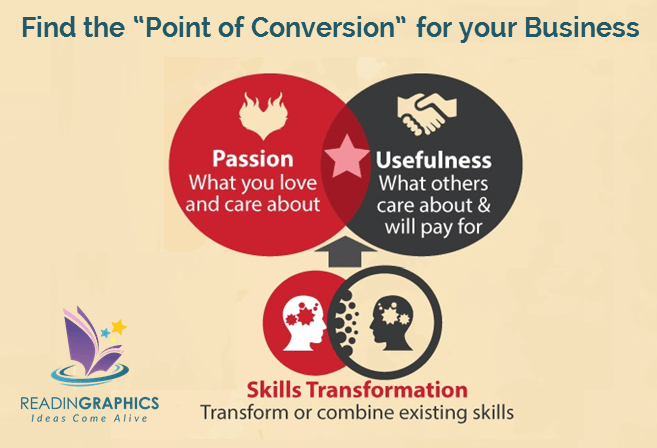 Using the 4 areas above, it’s easy to find passion and fulfillment in your work or business. If you absolutely don’t love anything about the what/why/how/who your current vocation, maybe it’s time to move on. Or, if you have no idea what you truly love or care about, then take the advice from Newport in “So Good They Can’t Ignore You“: Put aside the whole passion argument, and start by seeking opportunities to build your skills (or career capital). As you progressively become better (and more valuable) at what you do, you can gradually gain more freedom. That, combined with greater self-awareness and clarity, will likely move you toward your ideal career/business/calling. Whether you choose to identify and nurture your passion at work, or simply build your career capital (and let passion find you), don’t forget to concurrently develop the other critical ingredients for success: (a) identify skills/knowledge that are valuable to others and (b) develop/master those skills. To identify the best ways to identify and build your strengths, don’t forget to check out “GO Put your Strengths to Work” with a powerful 6-step process by Marcus Buckingham. 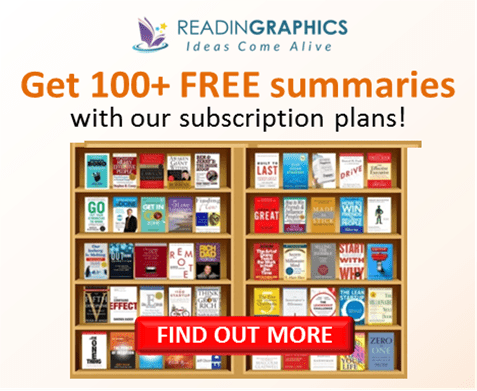 Do check out our free online summaries for each of these powerful books. 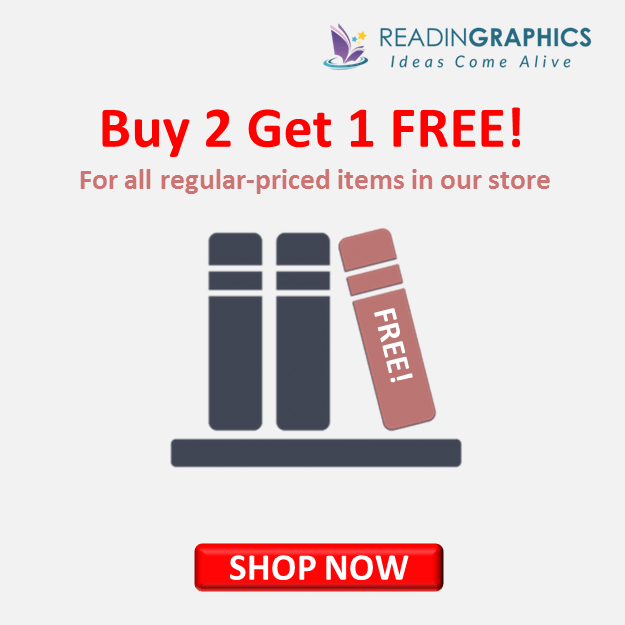 You can also buy the full summaries and infographics from our store, or subscribe to get instant access to all these titles. All the best!